It's been an exciting week - Twelve Rivers Realty was voted No. 1 for the Austin Business Journal's Best Places to Work! On June 22, the Twelve Rivers Realty team headed over to the Hilton downtown for the Austin Business Journal's Best Places to Work annual luncheon. More than 700 people and 75 companies attended the western-themed event. 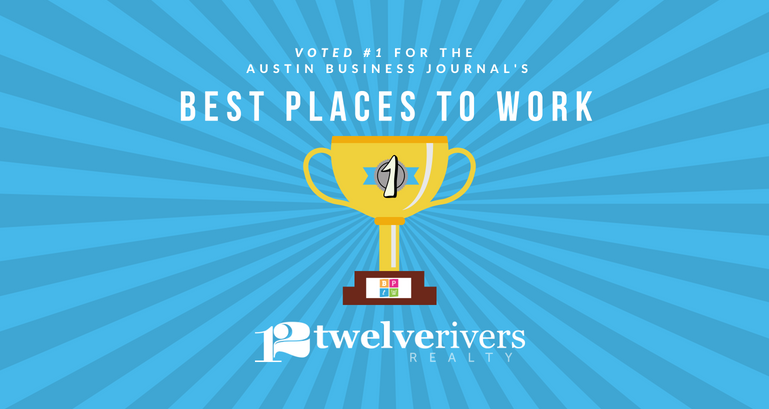 ABJ's Best Places to Work award is a very coveted and sought-after award by every Austin-based company. The companies who are nominated for the award are known for going above and beyond to empower their employees. Twelve Rivers Realty has been nominated for the ABJ BPTW award in the past, but this was our first time winning the No. 1 spot! Can I get a yeeeehaw?! We couldn't have done it without our amazing team. "Twelve Rivers Realty treats staff like family to fuel continued growth. That can be seen in its killer South by Southwest parties, but also in regular events that give back to the community, like the annual Frosty Gives Back holiday party - which raised $17,000 for children's charities in 2017. It's all part of embracing Austin's "keep it local" while building real relationships with both employees and customers." You can read the full article ABJ Wrote on Twelve Rivers Realty, here.